If this is your first visit to our site, please let me welcome you to Bauman Medical Group. 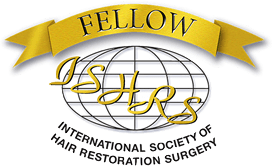 At our medical and surgical hair restoration practice, we encourage everyone with questions about male or female pattern hair loss to learn about the known causes and common hair restoration options now available. A proactive approach will enable you to determine which solution (and type of professional) will best suit your specific needs. Should you make the decision to stop your hair loss and restore your own natural hair, rather than cover it up, we can help. 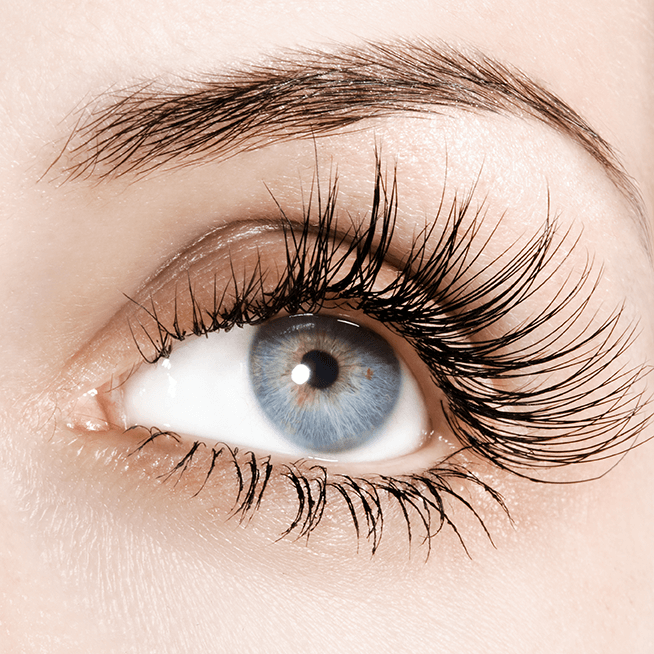 We are exclusively dedicated to hair restoration. Once you understand the cause of your hair loss, you need to determine how you to stop losing more hair. Hair loss is no longer inevitable, it’s optional. When you meet with Dr. Alan Bauman for a comprehensive medical consultation and evaluation, you will have the opportunity to actually visualize your realistic hair growth goal using our advanced digital ‘preview’ imaging system. 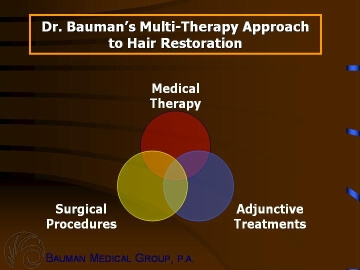 Dr. Bauman will then prescribe a balanced, multi-therapy treatment plan to achieve your hair restoration objectives. Many patients choose Dr. Bauman because he is also an exceptionally caring and accomplished surgeon who advocates a multi-therapy approach to hair restoration. His results-oriented approach combines treatments such as laser phototherapy, nutritional supplementation, medication and surgical transplantation. 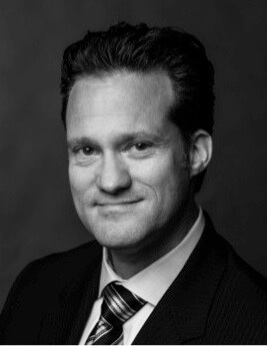 Dr. Alan Bauman has taken on a leadership role in the specialty of medical and surgical hair restoration. As an instructor, author and acknowledged medical authority, Dr. Bauman educates both patients and physicians. His pioneering results-oriented, multi-therapy approach consistently surpasses previously accepted standards of care for patients. At Bauman Medical Group, you meet with Dr. Bauman for a personal consultation and medical evaluation. 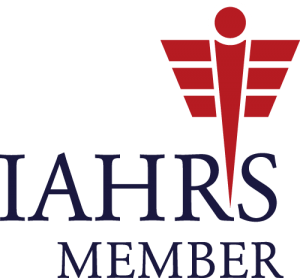 Then, Dr. Bauman reviews his findings and develops a hair restoration plan incorporating a multi-therapy approach suited to your medical needs and personal goal. His results-oriented approach combines treatments such as laser phototherapy, nutritional supplementation, medication and surgical transplantation.